We have an update! Fans of this site might remember Jim Babwe’s email submission about seeing Kirk Gibson’s home run in Game 1 of the 1988 World Series off of Dennis Eckersley. There is nothing like a good post script to the story! 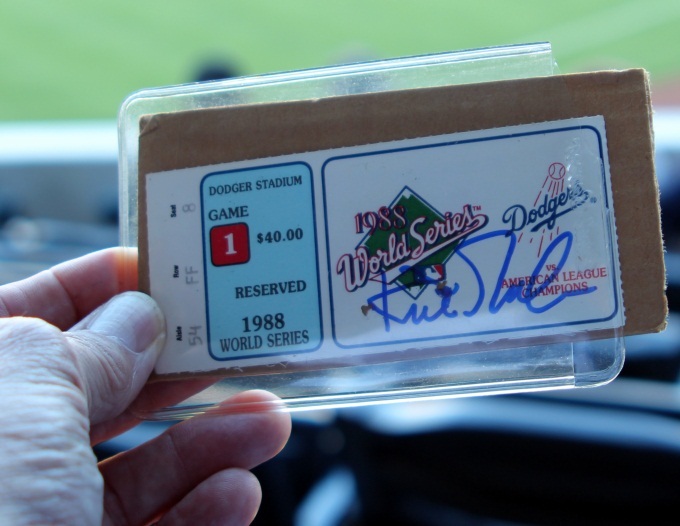 Here’s an update on the World Series ticket stub. Last September, I was taking photos at San Diego’s Petco Park on behalf of the National Juvenile Diabetes Association–kids got to meet Alan Trammel on the field. A friend of mine and I told Trammel that if he could get Kirk Gibson to autograph my ticket, I’d donate it for the NJDA fundraising auction. You see the result. It’s doing way more good now than it was in a notebook on a shelf at my house. I’ve inducted Trammel and Gibson into the Jim Babwe Human Being Hall of Fame. The vote was unanimous. Do you have a story like Jim’s? We would love to hear from you! 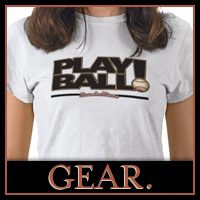 Send a Tweet to @baseballisms with a quick message, send us an email or visit ourUpload page with a video message. We look forward to growing a community of fans interested in the poetry of the game of baseball!